Powerful video joining tool helps you join or merge multiple videos file into a large one. Support joining same or different video formats. Add subtitle to videos at will! No need to separate! Now with Renee Video Editor, you can merge subtitle file with video and create a new video. Built-in 14 special effects can change the video style at once. Support instant preview. And you can adjust the brightness, contrasts and saturation. Remove any unwanted area from your video! Like the black bars, crop the videos with large dimensions to fit the small screens and more. Support split videos or audios into several parts, remove unwanted part and edit at the same time. You can divide the files according to the size or time. No matter you want text watermark or picture watermark, Renee Video Editor can fulfill this requirement. You can add the watermark on whole or part of the video. Music sometimes plays an important part in video. Support adding music to your silent video to make it more attractive. Support multiple music file formats. Shot far more frame than you actually need? Want to choose the best part to edit? 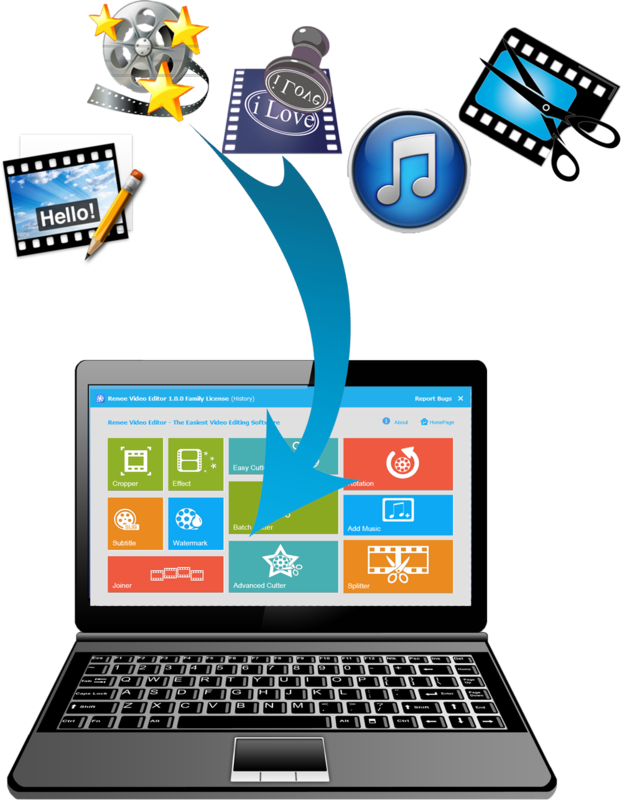 Gilisoft Video Editor Easiest Video Editing Software for PC helps you save the part you want without quality lost! Download and Enjoy it Now!